Our attorneys have filed hundreds of successful disability retirement applications and appeals for CalSTRS members and other public employees. We are one of only a few California law firms that are highly experienced in CalSTRS Retirement Disability cases. In more than forty years of legal practice, we have obtained millions of dollars in disability retirement benefits for our clients. You have worked very hard to earn your CalSTRS benefits – and our lawyers are dedicated to helping you get the compensation you deserve. Our skilled attorneys have assisted hundreds of teachers, administrators, education professionals, school transportation & maintenance workers, and other public employees in applying for disability retirement – and successfully appealing disability retirement denials. Call us today. Or take a minute to fill out the short form on the right for a FREE CONSULTATION with an experienced CalSTRS Disability Retirement attorney. CalSTRS -The California State Teachers’ Retirement System – is the largest educator-only pension fund in the world, and the second largest pension fund in the United States. 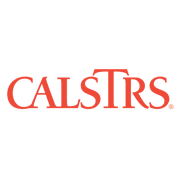 CalSTRS was established way back in 1913 to provide retirement benefits to California’s public school educators – and includes members from prekindergarten up through community college. CalSTRS members who joined on or after October 15, 1992 are covered by the Disability Retirement Program called “Coverage B”. Note: Those individuals who elected Disability Retirement “Coverage B” during the election held between October 1992 and April 1993 are also covered. CalSTRS stated mission is: “Securing the financial future and sustaining the trust of California’s educators.” Unfortunately, this mission falls short when CalSTRS wrongfully denies Disability Retirement Benefits. When this happens, it is devastating to the dedicated teacher or school professional who has devoted their career to the public service of education – only to be denied when they attempt to collect their retirement benefits. Our experienced CalSTRS attorney have assisted hundreds of injured, ill or disabled teacher, school administrators, education professionals, and other public employees collect the maximum Disability Retirement Benefits for which they qualify. We can help you, too. Have five or more years of credited service. The last five years of credited service must have been performed in California. Four of the five years of credit must be for actual performance of creditable service. After receiving a disability benefit. Following the most recent refund of your accumulated contributions. However, if a CalSTRS member is disabled due to an unlawful act of bodily injury while performing CalSTRS-covered employment, they may qualify for disability benefits with only one year of service credit. Generally, the basic CalSTRS disability benefit is 50 percent of the employee’s final compensation. The maximum benefit one can receive, including benefits for eligible dependent children, is 90 percent of their final compensation. The Retirement Disability Attorneys at the Law Office of Cantrell Green offer FREE CONSULTATIONS to CalSTRS members and all public employees in the Los Angeles area, Orange County, San Diego County, Ventura County and anywhere in California, including: Anaheim, Long Beach, Carson, Bellflower, Compton, Downey, Fullerton, Garden Grove, Hawthorne, Huntington Beach, Irvine, La Habra, La Manhattan Beach, Mirada, Lakewood, Lomita, Oxnard, San Pedro, San Bernadino, Santa Ana, Santa Monica, Santa Barbara, Thousand Oaks, Torrance, Wilmington, Whittier & Yorba Linda. (in most cases that begin at the application level) and our contingency fee for a successful outcome is among the lowest in California.